Scott has now taken possession of the Red Jeep Cherokee Limited. He reports that it is running well and he has scrapped plans to sell it and is now planning to keep it as his daily driver replacing his XJ Wagoneer. He is in the process of sanding it down so he can repaint it. I think he is even planning an ambitious color change. A color change on a Cherokee requires a lot of attention to detain to get it right. My off road Jeep used to be purple and is now white but it is easy to see the purple interior when it is not covered in mud. Changing the color on the red Jeep will require pulling all the door panels and painting the door jambs as well as the hatch and under hood areas. Lots of labor and masking tape will go into this project. One last electrical glitch has been sorted out. The light in the clock would not work. After tracing the wiring, it turned out to simply be a bad bulb. Now the clock is visible again. 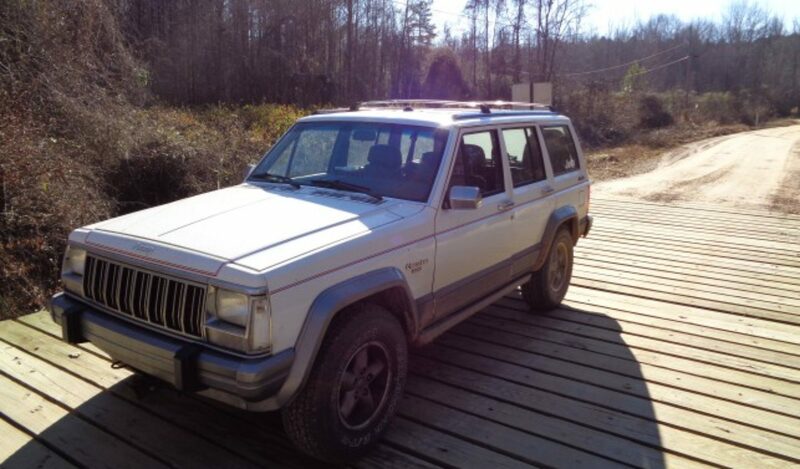 It is amazing that this Jeep that I thought would never run again now drives and runs better than some of the newer Cherokees in our collection.